What kind of animal makes up about one fifth of all mammal species? Here’s a hint: Many of them have a Nose Leaf. Need another? They have wings that are composed of skin that connects their long fingers to their legs. If you said “Bats” you’re right! Bats are incredibly cool animals and the only mammals that can truly fly. When we think of Lake Champlain we don’t often think about the bats that live here. But they can be seen in the summer months all along the lake, above fields and into the mountains at dusk. Vermont is home to nine bat species, all of which can be seen as beneficial to us in one way or another. For example, Little Brown Bats (or brown myotis bats) forage over bodies of water, feeding on aquatic insects like mayflies and caddisflies. Each individual can catch up to 1,200 insects in just one hour! Bats are also an important part of the ecology of the Champlain Basin that often don't get the attention that other animals do. On Saturday, October 27th, we are dedicating a substantial portion of our programming to bats to educate guest on just how important they are. 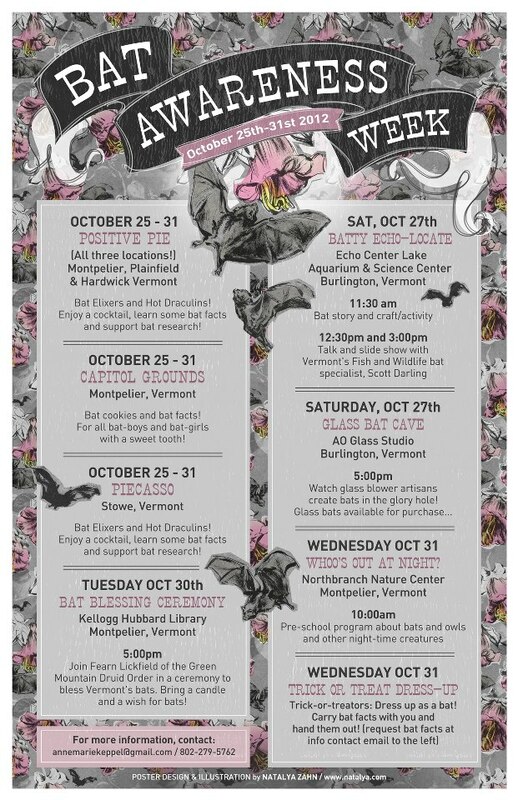 Scott Darling, the bat biologist for Vermont’s Fish & Wildlife Department, will be here talking about bats, Ann-Marie Keppel will be reading a children’s book about bats and we will have bat-related crafts all day long. 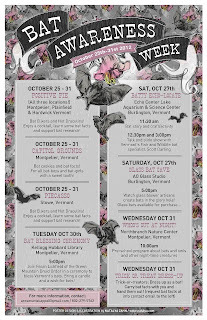 This programming is part of Bat Awareness Week, with participating businesses and organizations across Vermont. We look forward to seeing you here at ECHO on Saturday, October 27th! Doors open at 10 a.m. and all bat programming as well as admittance to our current exhibit, RACE: Are We So Different, is included in the admission price. Great article, I think its very important to create awareness of how big of a role bats play in our lives. In my line of work which is humane bat removal I often run into several myths and misconceptions about bats and always enjoy teaching the facts. If anyone is interested in a alot more information about bats I have some on my website http://www.propestmen.com/ohio/index.html feel free to take a look if its any help. While its mostly about bats in the Columbus, Ohio area some species are also located in Vermont. Thanks again for the read.